14th November brings back so many memorable moments that I have shared at school, preparing the speech on Chacha Nehru,remembering him more as Chacha Nehru than as first prime minister of India all thanks to children’s day celebration at school.I really don’t have any fond memory of this day at home, I wonder why? when this day is all about children then why is this day not celebrated at home with parents and siblings. 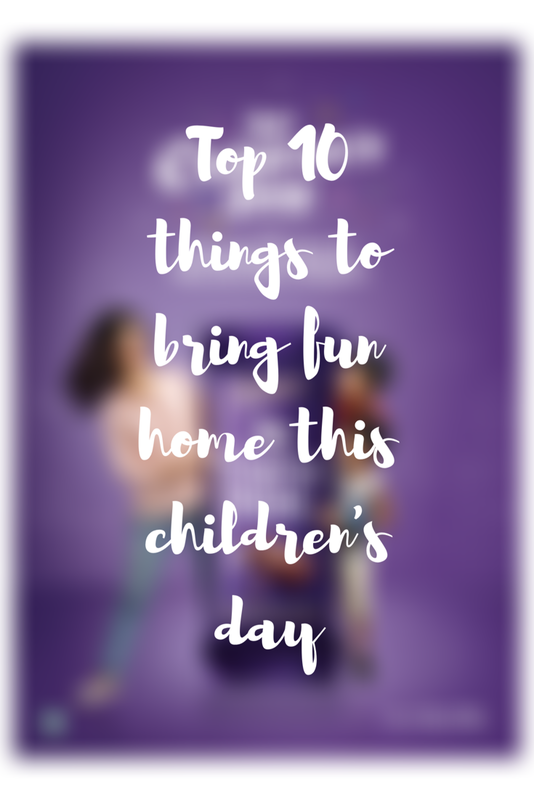 This year my husband and I decided to bring fun home and make it memorable for Nirvaan so that while growing up he will remember this day as a fun family day as well.I am listing the top ten things you could bring home to make this children’s day memorable for your children. Baking alone or a surprise cake can never bring the joy on those little faces than the cake they bake for themselves.Bake a cake together!Let them wear the baker’s cape and spread some magic icing of happiness over the cake.Let them peep Hundredth of time over that oven to check the cake. Don’t forget to tell them the secret of perfect cake ‘ the toothpick trick’. Yes I know watching that movie all over again is something you would not want to do so why not press that mute button and enact the favourite movie and let them take the favourite character.Oh yes ! don’t forget to watch the movie for yourself the night before I am sure you would not like to forget the dialogues while enacting. How can a day be memorable if you can’t make it merrier with mess.Plan a messy play and have some fun with the mess. Order in their favourite food and let them open the door once its there,I am sure that smile will be worth a million bucks. Don’t say no to fight this children’s day ,have a pillow fight with the little ones.Let them jump and hit each other with the pillows. Don’t be your strict self and join them in the fight. Invite the cousins and friends over this children’s day at home and have a small get together.Nothing like seeing the little ones having fun together.Will remind you of your childhood get togethers with cousins. I know its difficult but keeping it in silent is manageable, just give your full and undivided attention to your kids. We spend a lot of time on these gadgets when we are home and often miss out on the one to one communication. 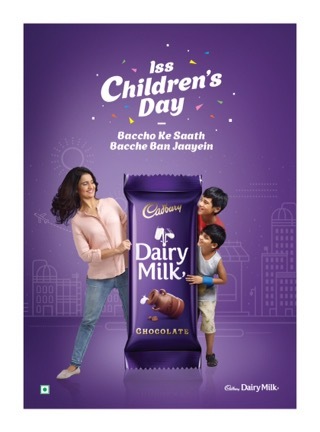 This children’s day keep that mobile away. In our busy life we often forget the small happiness we get from being close to nature.Plant a tree with your kids so that they will remember the birthday of the tree and cherish it growing every year. If you don’t have space then consider planting some plants which purify air. Children’s day is not just about the little ones its for us too, to relive the childhood we had which had made us the person we are today.Play those old forgotten games with your kids and take them down to our childhood where there were no gadgets and a piece of paper could keep us busy for hours together. Kuch Mittha Ho jaye ! Take a break from the busy adult life let the child in you take you over this children’s day. Let that carefree child in you be the parent for a day and do all the mischiefs with the little ones.Surprise yourself and the little ones and make it a memorable day. Lovely ideas to spend time with kids. We definitely need to take break from our social lives and live the real life with our kids. Kuchh Meetha Ho Jaye..sure..happy children’s day!! We don’t have Children’s Day here in the US. I’m enjoying reading about it though! Lovely set of ideas to spend quality time with children. Loved this list of things to do on Children’s day. I kept the devices out of sight and spent the whole day by my son’s side, dedicated the whole day to him. And we did enjoy our Cadbury chocolates. Can’t remember the no. of hours spent playing this game during childhood days. Switch off that mobile -such a great way to celebrate Children’s Day! These are all fun ideas to spend children’s day with kids. The gift of time is the best for them. Waoh. Raja Mantri Chor Sipayi. I love this Idea. & Yes We all Love Cadbury Chocolates. Thx for sharing. These are such sweet ideas. I love the plant idea and playing Raja Mantri Chor Sipahi. We used to play this in our childhood. And fun used to be unlimited. Love the idea of planting a tree and playing traditional games with them. Hope you’ll had fun on childrens day. My ten year old daughter loves chocolate. Pillow fights are an everyday affair at our house. Nice ideas these!!! Love the idea of baking a cake together. Perfect for kids who go to school and come back home for more fun!!! I’m totally loving one of your ideas about planning a messy play something we mom’s just do not want to do. A fun article to read and take ideas from. Those are some very cute ideas. Chocolates and their favorite food is so much fun for them. Thanks for sharing.